I’m in kind of a weird place in my training right now. I’ve signed up for my first 100K. I’m excited. I’m committed. 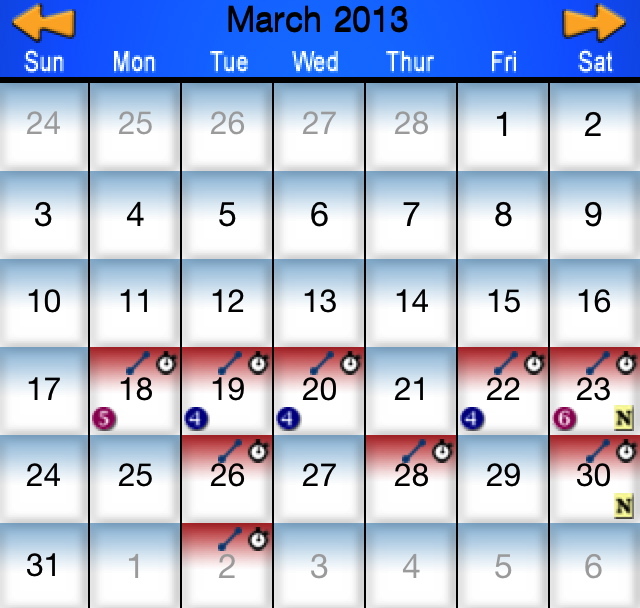 And I have a 24 week training plan already plugged into my calendar...that doesn’t start for two more weeks. So what’s a runner to do in this kind of interim period? I decided that I needed to spend the weeks between committing to the race and the official start to training making sure that I have a good base. I figure, a base of 30 to 40 miles per week, each week, until my training plan starts is a good goal to have. And I’ve decided no to structure it. How I get their isn’t really all that important as long as I end my week with the appropriate number of miles. As you can see, consistency without a training plan is not a strong suit of mine. But I’ve had a blast! Over the last two weeks, I’ve felt only a little bit of self-inflicted pressure to get in a run if I didn’t feel like it but it was rarely enough to get me out the door or on the treadmill and if I started with the intent or running X-miles and decided to quite at mile-Y, I felt no guilt. It’s really been a great way to jump back into training. I’ve chosen to go run slow, muddy, impossible trails where I spent more time just trying to stay on my feet than actually running, had to cut it short because it was taking too long and still walked away loving this sport more than I did the day before. After falling on a recent run! Here’s what I’m getting at; Loving what you do is more important than consistently training hard. Sometimes what you need isn’t to work harder. Sometimes what you need isn’t to eliminate distractions so you can focus more on perfecting your craft. Sometimes what you really need is a break from the monotony of your normal routine. If you find yourself having a hard time getting out the door or dreading your next workout, it might be time to mix things up a bit. Take a day or two off. Change up the days you workout. Get someone new to your sport to join you for a light workout. Or meet up a veteran for a new challenge. Whatever it takes to restore the passion, do that and results will follow. So, until next time, train hard, eat well and live life to the fullest!